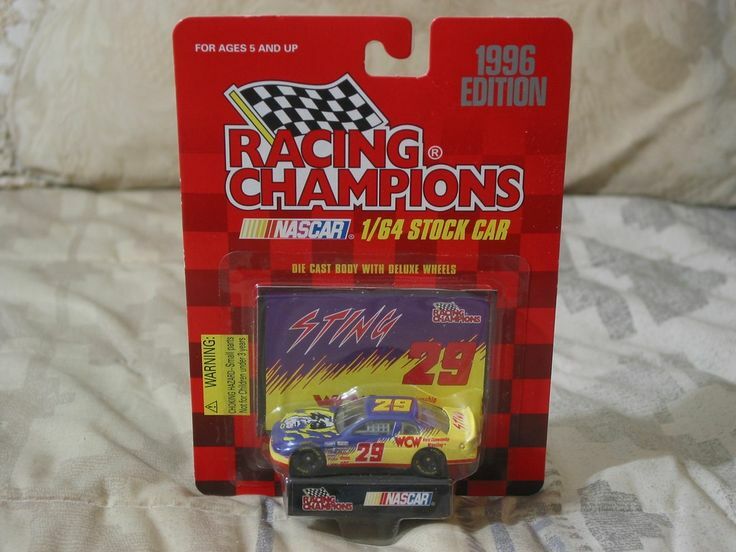 In 1996 Racing Champions released two race cars without any drivers name on the cars or packages and these two car releases have been being sold in the collectors market as Steve Grissom cars. Steve Grissom was not the driver of these two "No Name" cars. Steve Grissom was released from his driving duties after the spring Michigan race in 1996. Steve Grissom owned his own Busch Series team in 1995 and sold it to Diamond Motorsports and continued on as a part time Busch Series driver in the WCW Sting car and full time Winston Cup driver of the #29 Cartoon Network Flinstones car in 1996. After the 15th race in 1996 Diamond Motorsports fired Steve Grissom and Steve Grissom lost his driving duties in both the Busch Series and Winston Cup. In the 1996 Racing season Diamond Motorsports started the season running Steve Grissom in the Cartoon Network Flinstones race car. After the 1996 spring Michigan race Steve Grissom was replaced by Greg Sacks. In the last three races of the 1996 season the Cartoon Network car was driven by Robert Pressley with the first Scooby Doo paint scheme. No name was put on the Scooby Doo car because no permanent driver was named until the 1997 season in which Robert Pressley became the permanent driver of the #29 Cartoon Network car. Greg Sacks drove Cartoon Network Flinstones sponsored car for the next 6 races after Steve Grissom was released, then Chad Little, Butch Leitzinger and Jeff Green drove the car until Robert Pressley was hired to drive the car in the last 3 races of the 1996 season. No name was put on the #29 Scooby Doo car because Robert Pressley was not named the permanent driver of this car until the 1997 season. The WCW race car was not a special paint job. The WCW Sting race car was the standard paint scheme throughout the 1996 season in the Busch series. Again, no name was put on the diecast produced after Steve Grissom was fired because no permanent driver was named. 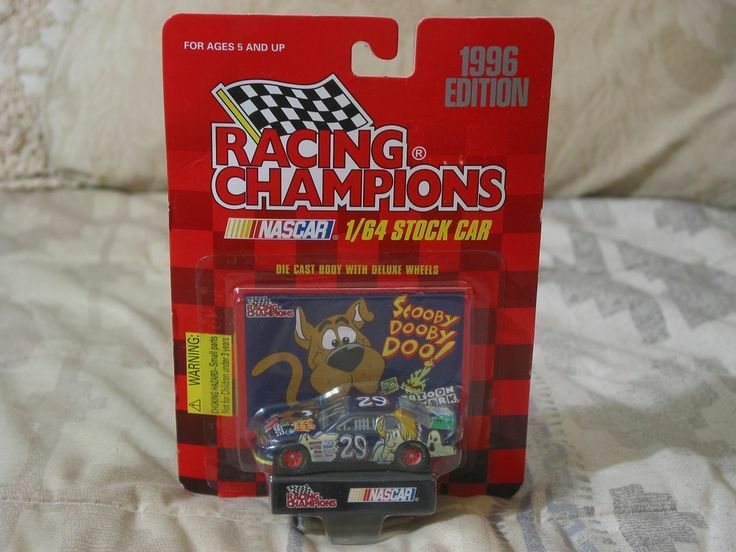 The cartoon network Scooby Doo car was driven in the last 3 races of the 1996 season by Robert Pressley and never run as the paint scheme again so I guess it can be considered a special paint scheme because of the limited number of races run. The pictures above are the two diecasts without any driver names on the cars or packages.